Jeff's Bike Blog: Tip Track Vertical challenge? 495 metres straight up! Tip Track Vertical challenge? 495 metres straight up! The "tip-track" race was held a few weeks back with great success. Its a race of legend in Wellington with talk of a time of 18 mins flat, from gate to gate by the legendary Trevor Woodward. 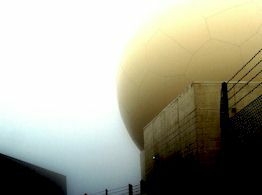 This was to be an entirely different event with the race starting at sea level and finishing at the golf-ball (radar station) itself on hawkins Hill - quite a bit longer than the original course. The cool thing though was that runners and roadies were also invited, and they could use whatever course they wanted! Obviously the roadies took to the tarseal and went via the wind turbine. I actually expected them to win, but a northerly and a TT format meant that there was no wheel sucking so no advantage there. In the end, in form roadie Ed Crossling did a 27.45 to pro Elite MTBer Wayne Hiscock's 27.20...... pretty close eh? But no where near MTB hill climb specialist's Tim Wilding's 24.44 ! Ex World Mountain Running champ Melissa Moon did a 30.05, and I think if local World Mountain Running Champ Jonathon Wyatt had turned up, he would have given Tim a good run for his money. The day was pleasant enough at sea level, but up top it was verging on hypothermia country. 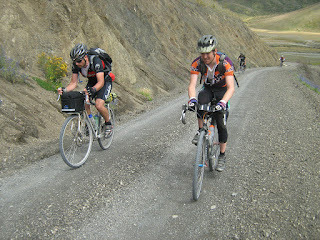 There was a great variety of fitness levels in this event which was a fundraiser for the Makara Peak MTB park. 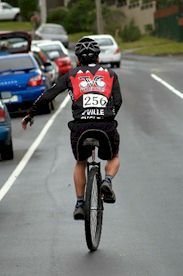 The most impressive ride for me was by world reknown unicyclist Ken Looi from Jville Cycles in around 38 minutes!